Sadlier's English Language Arts (ELA) programs for Grades K–8 incorporate the latest research and proven instructional approaches that support educators and help students develop the skills and strategies needed to be successful learners. 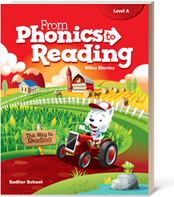 The new From Phonics to Reading is a research-based phonics and foundational skills program that supports students on the path to reading with the Seven Key Characteristics of Strong Phonics Instruction. 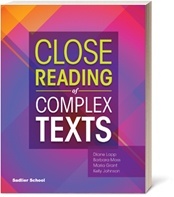 Close Reading of Complex Text has been effective in today's classrooms helping to develop close reading skills. 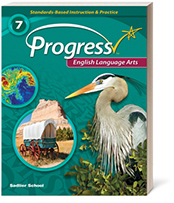 Progress is the standards-based program to integrate all ELA standards. Explicitly teach phonics with immediate application to reading and writing. & critical analysis of complex texts. Find standards-based instruction, scaffolded practice, and assessments. 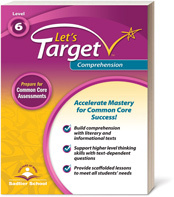 Sharpen students' comprehension skills with instruction & practice. Learning centers are not just for K–3 classrooms. Learn about how Dr. McKnight successfully uses learning centers in middle and high school classrooms all over the country to build literacy skills and increase content knowledge. An engagement inventory is an observational tool used to record whether your students are “engaged” in reading or writing about a text during independent reading time. Use the Reading Engagement Inventory Observation Worksheet to assess students' independent reading behaviors.